Thanks to its many desirable qualities, wood is a prominent feature in many hardware pieces in our homes. These include hardwood floors, doors, windows, tables, shelves and much more. A notable feature of most of these wooden pieces is that they have a finishing or protective coating. The finish makes the wood moisture resistant, aesthetically appealing, and keeps it from staining. Such fine-looking pieces boost the property’s rental value, making the home attractive to prospective buyers and renters. If you are a property owner, you must take good care of your wooden hardware finishing when maintaining your home. Here are some tips on how to do that. One of the secrets of maintaining your home is to identify the kind of polished hardware available. Wood finishes come in a wide variety all of which require different maintenance and cleaning procedures. 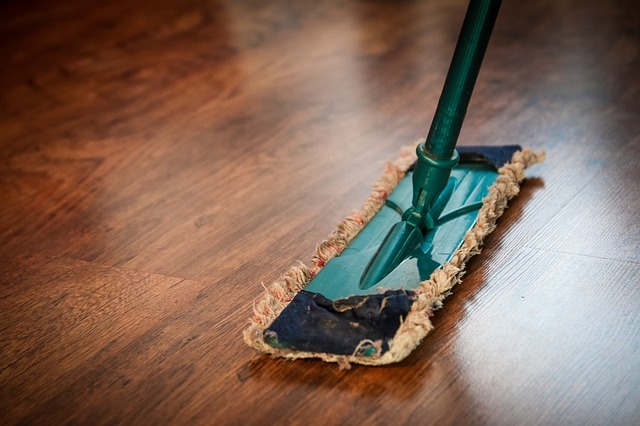 For instance, if your device includes unsealed wooden furniture, you only need to clean them using the damp-dust method. But if you are dealing with other types of wood surfaces, you can use quality cleaning and polish products. Since different finishing types need differing maintenance services, it is important that you find out how to clean the finishing on your wooden hardware. For a paint finishing, you can use a neat-washing liquid to remove stains and grease. However, for a dye coating or unsealed finishes, a wet dust cleaning procedure will suffice. For a varnish finishing, you would use a damp-dusting using diluted washing-up liquid and polish it with chamois leather fabric. While for a wax finishing, soap flakes or a pre-mixed soapy wood cleaner will do just fine. One thing that makes your wood finishing wear off is sand and dust particles. They act like grit or sandpaper, which scratches the surface. You need to dust your hardware as often as possible, preferably daily, more so if you are living in a dusty or windy environment. When dusting the surfaces, remember to do so in the direction of the grain, to ensure that your surfaces do not lose their beautiful patterns. Grease, oil, food, drinks, and paints can ruin the look of an otherwise perfect wooden finishing. Most property owners take their time before cleaning these surfaces from their home. Consequently, by the time they get to the cleaning, these materials have left ugly stains on the surface. For this reason, instead of waiting until spills transform into stubborn spots and stains on your wooden hardware, form the habit of wiping them off as soon as they fall. One good thing with most stain causing elements is that they are easy to clean when they are still fresh. Maintaining your home, at times, involves cleaning the surfaces using water. Even though the finishing on your wooden hardware offers reliable protection against moisture, it is still possible for water to ruin the surface. For instance, continuous exposure to water can result in stains, white spots, blushing as well as discoloration of the hardware’s surface. You should avoid exposing the wooden fixtures in your home to water. Do that by shutting the door and windows when it is raining, fixing leaky faucets, and wiping the surfaces using a damp cloth. It does not matter what type of finishing your hardware has. If you expose them to sharp objects like nails, claws, pointed heels, tough-bristled brushes or rough-fibred clothes the finishing will get ruined. Avoid such a scenario by trimming your cat or dog paws, placing protective rugs in high traffic areas, and discouraging people from walking on wooden floors in sharp pointed shoes. Similarly, discourage people from scribbling on the wooden fixtures. Lastly, ensure that you only use cleaning equipment that has soft bristles or fabric. Wood polish is an excellent way of keeping your hardware finishing sparkling and new. However, if you use them in the wrong manner, your wood maintenance efforts will be counter-productive. For example, if you love reaching for the spray can continuously your wooden surfaces will begin losing their luster, which will leave you with dull looking finishing. Likewise, if you use the wrong polish on your hardware, you might end up ruining its striking appearance. Hence, you must use the right wooden polish and use it sparingly to ensure your wooden pieces retain their beautiful appearance.